Special Education for Young Learners with Disabilities brings together leaders in the field of young children with disabilities, to present their ideas and research on different disability topics. 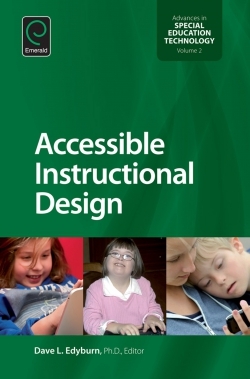 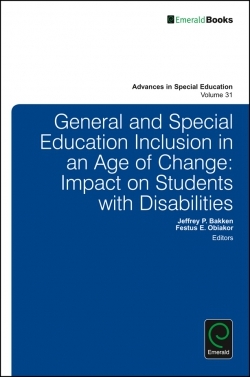 Beginning with an introduction to the topic, the remaining chapters include discussions on learning disabilities, emotional and behavioral disorders, and intellectual disabilities; those who are deaf/hard of hearing; those who have visual impairments; those who have autism, severe and multiple disabilities, and traumatic brain injury; those who are culturally and linguistically diverse; those who have physical disabilities, and other health impairments. 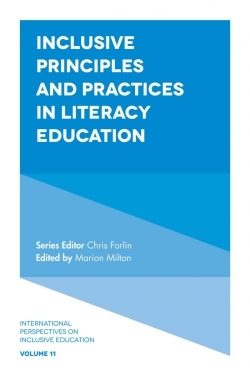 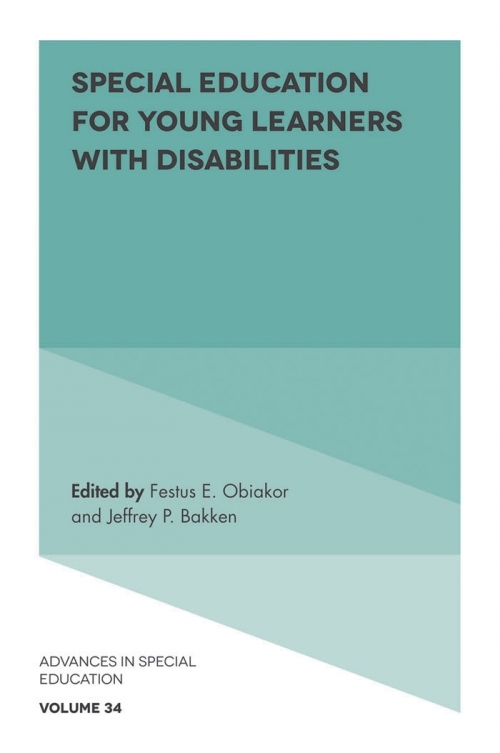 While this book focuses largely on the current climate of special education for young learners with disabilities, it also looks forward, concluding with a chapter on the future for the topic, both on a research and a practical basis. 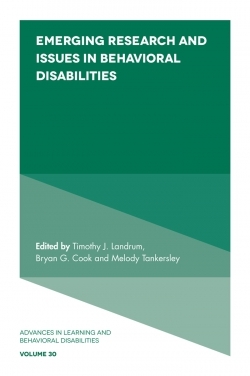 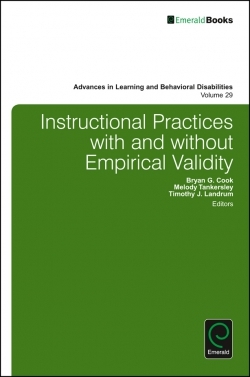 This volume of Advances in Special Education is a fundamental resource for special education researchers, scholars, practitioners, and professionals who teach and serve young learners with disabilities. Festus E. Obiakor, Ph.D., is the Chief Executive Manager, Sunny Educational Consulting, Shorewood, Wisconsin. 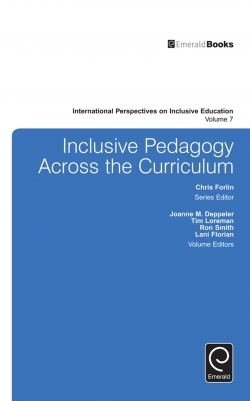 He is teacher, scholar, leader, and consultant who has served as Distinguished Visiting Professor at a variety of universities. 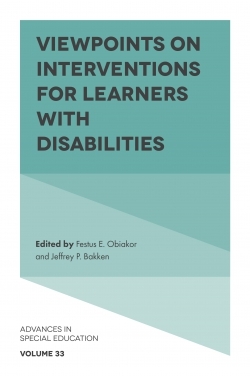 Jeffrey P. Bakken, Ph.D., is Professor and Associate Provost for Research and Dean of the Graduate School at Bradley University. 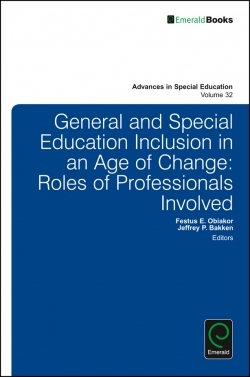 He has published 180 works that include books, chapters, journal articles, and proceedings at international conferences.